Udor Kappa series pumps offer reliable, high-quality and popular solutions when working with harsh chemicals. Due to their anodized aluminum construction, they are ideal for handling a number of common of professional chemicals, such as herbicides, pesticides, liquid fertilizers, de-icing materials, and other hard-to-handle fluids. 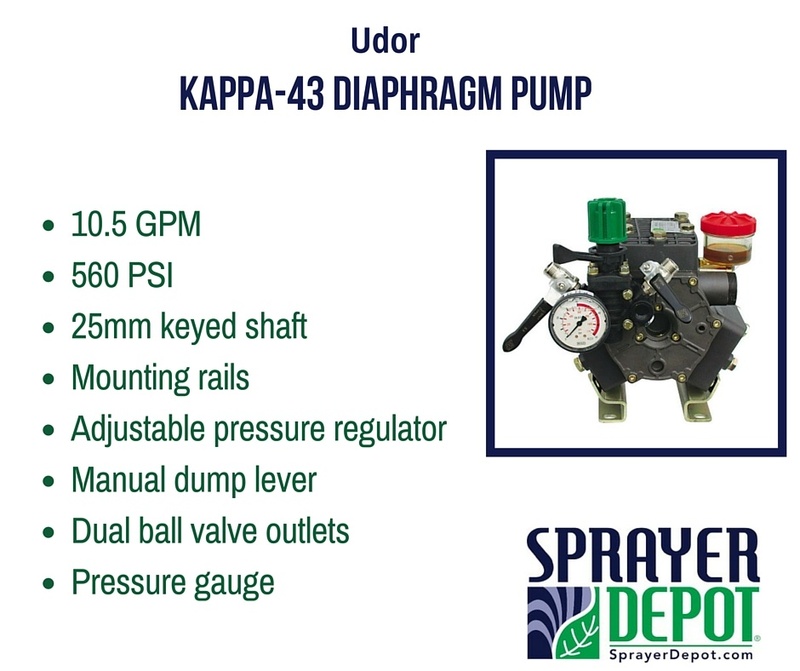 One of our top sellers is the Udor Kappa-43 diaphragm pump. This is a commonly used pump in various horticulture, agricultural, lawn care, nursery, pest control and turf spraying applications. Let's take a closer look at some of its best features! Probably the most common issue we see with this type of pump is a diaphragm rupture. Fortunately, this is a pretty easy repair you can do yourself to save time and money. Continue reading below for steps on how to repair a Udor Kappa-43 Diaphragm pump and watch the easy instructional video that follows. Do you have an instructional video you'd like to see featured? Let us know in the comments below. Our Repair Technicians are the best! 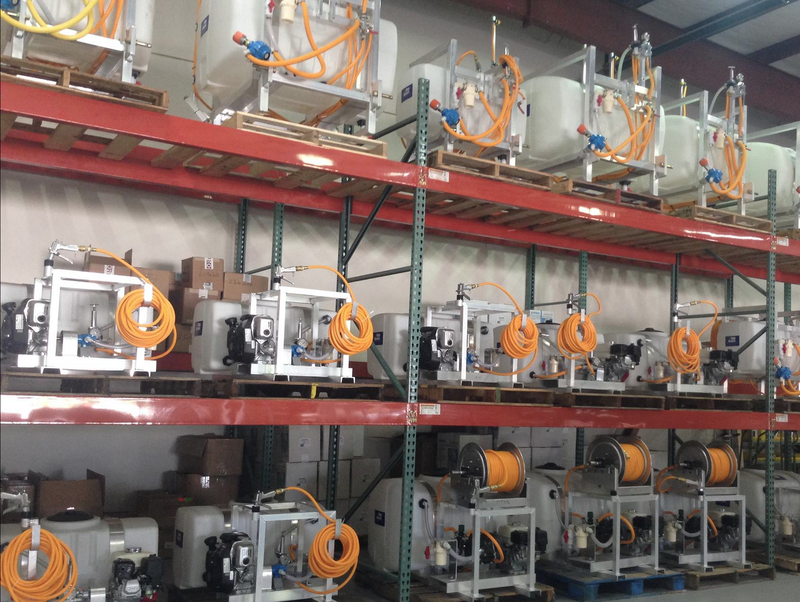 Yes, we are proud of their excellent service and extensive knowledge in all things sprayers. They are quick to diagnose issues and repair them in no time. They work hard five days a week to make sure your downtime is minimal. Usually, repairs are done within the same day unless we need to order parts or if we have a long queue for the day. Even then, most repairs only take 24-48 hours. If you've visited our website or follow us in social media then you know we have many instructional videos available. For all of our customers who are not local thus unable to stop by for a repair, we thought it would be cool to have short, easy and convenient videos featuring some of the most common repairs that you can do right at home. Today we are featuring steps on how to repair a Udor Kappa-40 Diaphragm pump. Watch the video and follow the easy steps outlined below. You are all done! 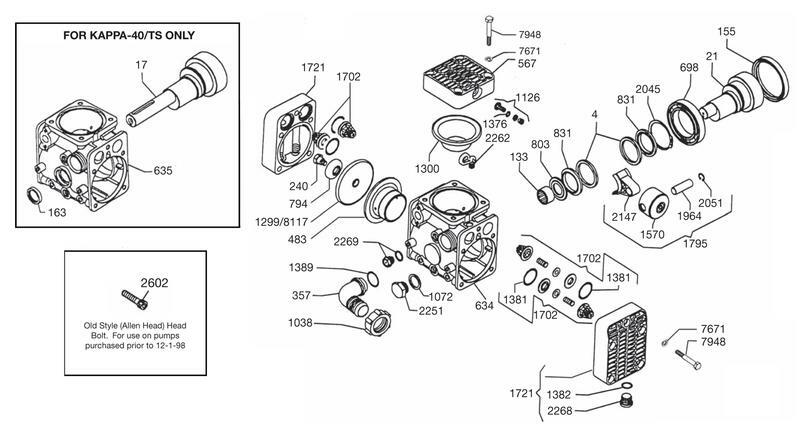 We sell all the parts featured in our videos so just contact us if you have any questions on this repair or the specific parts you need to order. Do you have an instructional video you'd like to see featured? Let us know in the comments below.